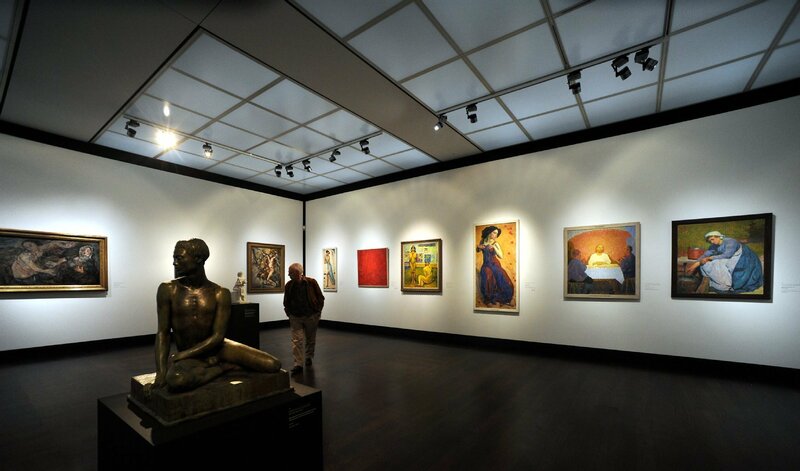 The “International Art Exhibition of the Sonderbund Westdeutscher Kunstfreunde und Künstler”, which was shown in Cologne from May 25 to September 30, 1912, is still regarded as the most important presentation of European Modernism before World War I. With the organizers’ stated goal of almost Drawing on 650 exhibits, “an overview of the status of the recent movement of painting”, it provided a platform for many avant-gardists, drawing on the already recognized work of Vincent van Gogh, Paul Cézanne, Paul Gauguin and Edvard Munch, and also established a new type of exhibition In 25 halls of various sizes around 650 works were on display, with the few, but high-profile works of sculpture (including Wilhelm Lehmbruck, George Minne, Ernst Barlach, Richard Engelmann, Hermann Haller, Bernhard Hoetger, Walter Kniebe, Aristide Maillol, Milly Steger and Paul Wynand) throughout the exhibition. On the occasion of the 100th anniversary, the Wallraf-Richartz-Museum & Fondation Corboud will pay tribute to this “Jahrhundertschau des Sonderbundes” from 31st August to 30th December 2012 with a large memorial exhibition. The retrospective “1912 – Mission Modernism” will reconstruct the original exhibition in its focal points and objectives with around 100 paintings and graphics and 19 sculptures, all of which were also exhibits from the 1912 exhibition, revealing the prevailing basic artistic trends around 1912 on this basis do. 25 couriers from the United States from utmost precious lending museums, plus 13 more couriers from European lenders. Except one US lender all other US loans were handled by Masterpiece and Brandl Fine Art Services.